The Boca Grande Lighthouse is located at the southern tip of Gasparilla Island in Boca Grande and is part of the Gasparilla Island State Park. It was built in 1890 and is the oldest building on Gasparilla Island. On February 28, 1980 it was posted to the National Register of Historic Places. The lighthouse has a matching keeper’s house as well. There is a toll to get onto the island and a fee to enter the park. Inside the lighthouse you will find a museum and gift shop. It is run by the Barrier Island Park Society. It is kind of old-fashioned and not a huge museum, but you can see old photos of the island and the lighthouse and learn about its history. There are also some exhibits of sea life and seashells. The gift shop has jewelry and small gifts. The museum is free after paying the parking fee, but there is a donation box outside the front door. A $2.00 per person donation is suggested to offset operating expenses. We went to Boca Grande for Mother’s Day last year and visited the lighthouse. It was my first time there. It is a worthwhile visit, even if you only go there once. The views of the water from the lighthouse are spectacular. We took photos on the lighthouse porch overlooking the Gulf. I used one of them for my Christmas photo this year. Then we took a leisurely walk along the beach and had some ice cream in town. Some other activities you can enjoy at the park include saltwater fishing, canoeing, kayaking, swimming, snorkeling, shelling, hiking, bicycling, and wildlife viewing. 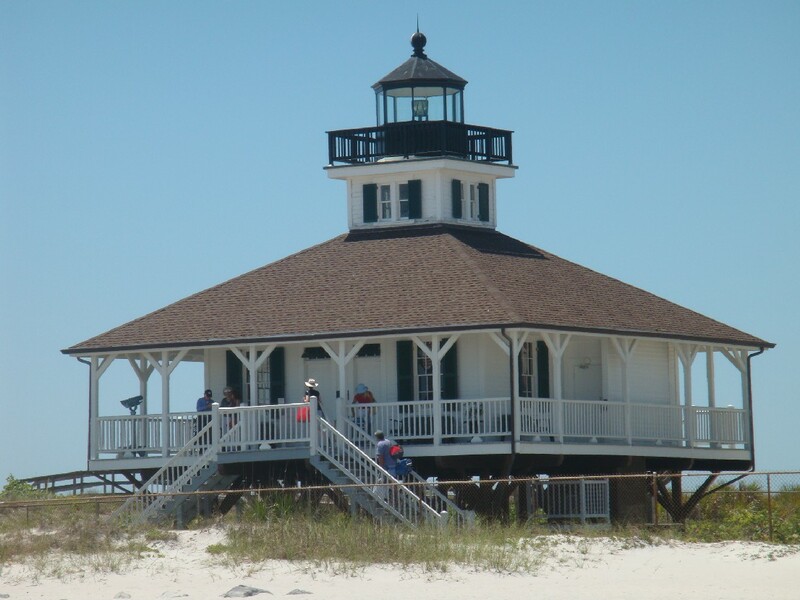 The facilities include the beach, showers, restrooms, nature trails, picnic areas, as well the lighthouse and museum. If you are looking to take a day trip, bring your beach gear, walking shoes and fishing gear. Be sure to stick around for the magnificent sunset. This is one of my weekly Walkabout Wednesday series. Check back each Wednesday for a new place to walkabout. Tags: boca grande, gasparilla island state park | Permalink.